On its own the NP8740 is a remarkable speaker. 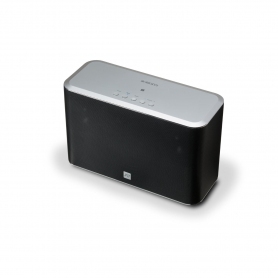 It offers amazing audio quality and powerful bass, along with wireless connectivity for complete convenience. But when it’s combined with another of the same model this speaker really comes alive. It allows you to build a multi room entertainment system, completely in sync and personalised. Your wireless audio system starts with this model. 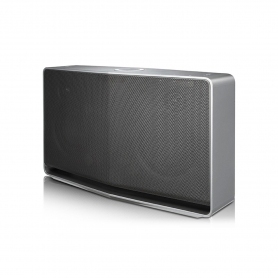 This Bluetooth speaker offers superior clarity for impeccable listening. Effective bass adds richness to your music collection, whatever your genre of choice. 70W of power is enough to fill a room from wall to wall, and there’s an impression of sound coming from all angles for a fully immersive experience. 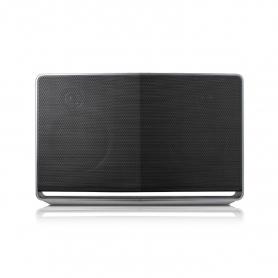 This speaker’s ability to stream lossless audio will transform your understanding of music. Multi room audio systems are the future of home entertainment. This is when numerous intelligent speakers are combined in different rooms, covering everywhere from the kitchen and living room to the bedrooms. Each speaker is linked wirelessly, and can be controlled by a personal device like your smartphone. Play one song throughout the entire house, or set different ambiances in different zones. You can also ensure what you’re listening to follows you from room to room. This is called MESH network technology, and Music Flow is LG’s ground-breaking entrance into the field. While it can be used independently, the NP8740 also gives you the opportunity to build a multi room audio system. 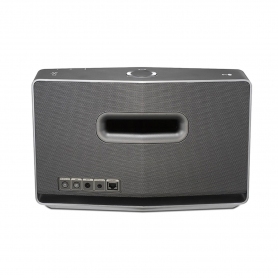 You can network any combination of the NP8740 or NP8540 speakers by using the brand’s Bridge Box. Party Mode will play one song through the entire system, while Personal Mode lets you set play different song in each area. Cover every room and you’re sure to keep the whole family happy. Bluetooth and Wi-Fi support let you control your entertainment without restriction. Use the smartphone or tablet app to ‘drag and drop’ a song to your speaker(s). Controlling your listening couldn’t be any easier. Begin your multi room speaker system with the NP8740. Click Add to Basket to buy yours.